If you are thinking of traveling to Japan, you may have run across a map of the subway and train lines in Tokyo and subsequently felt your jaw drop to the floor. 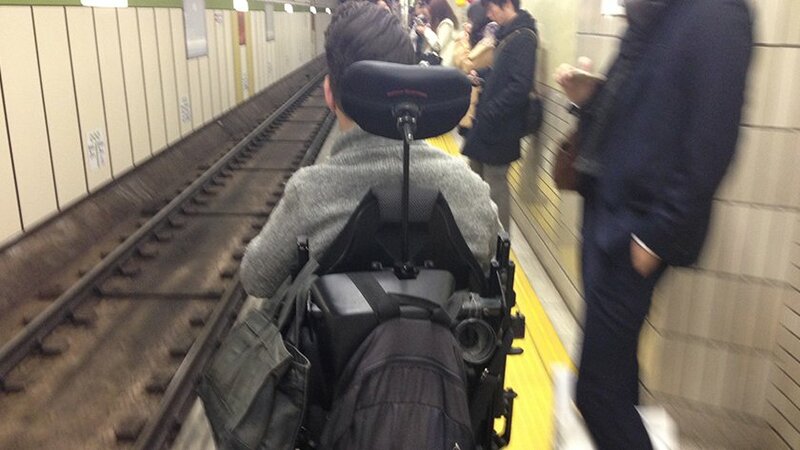 While there definitely are disadvantages to traveling with a wheelchair, in Japan it can be to your advantage. 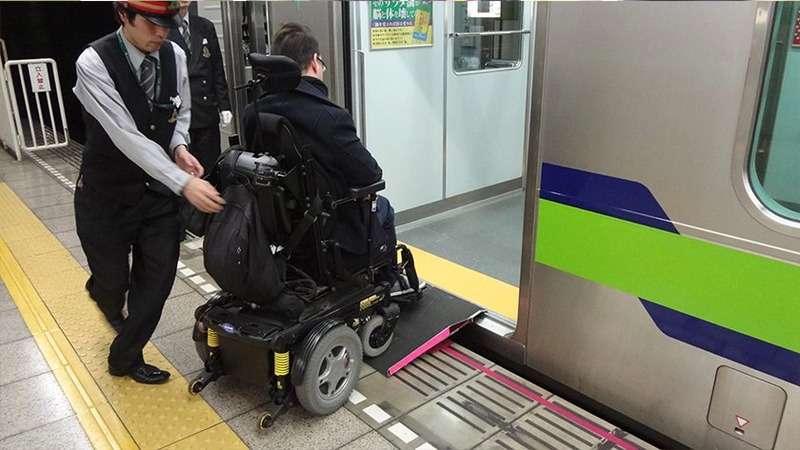 Nearly all train and subway stations in Japan are wheelchair accessible! Many guidebooks discuss how to buy tickets, but in short: find your destination on the map on the wall, see the price to get there, buy a ticket of said price. Accessibility-wise, the ticket machines are relatively low and can be used in a wheelchair (depending on disability, mileage may vary), though you will likely need to come in from an angle as there isn’t much leg-room. They are touch-panel and often feature a button to change the system to English. For those with visual impairments, tenji-blocks (raised blocks that indicate direction and safety information) often lead to the machines. While there is a braille list of stations, it is Japanese braille and is illegible to alphabet-based braille readers. After you have your ticket, the magic can begin. 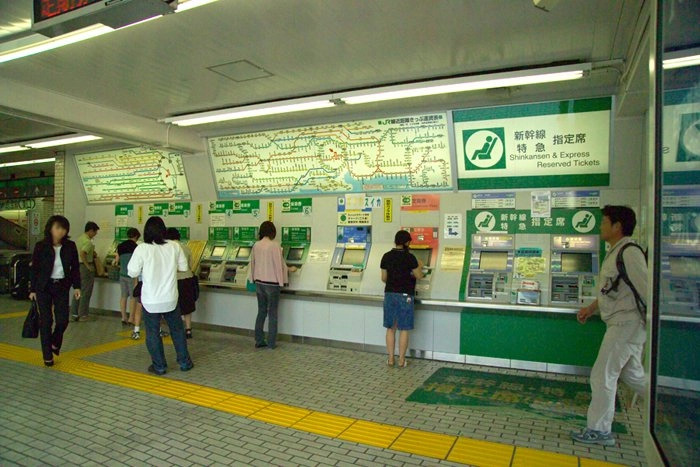 Instead of looking at a zillion paths and track numbers, go to the booth at the side of the ticket gate – it is a bit wider, has the tenji-blocks, and is staffed at all times – and tell the staff where you want to go. At this point you will likely be asked to wait (this can vary by train line some are very quick, some large stations may require you to wait a while). 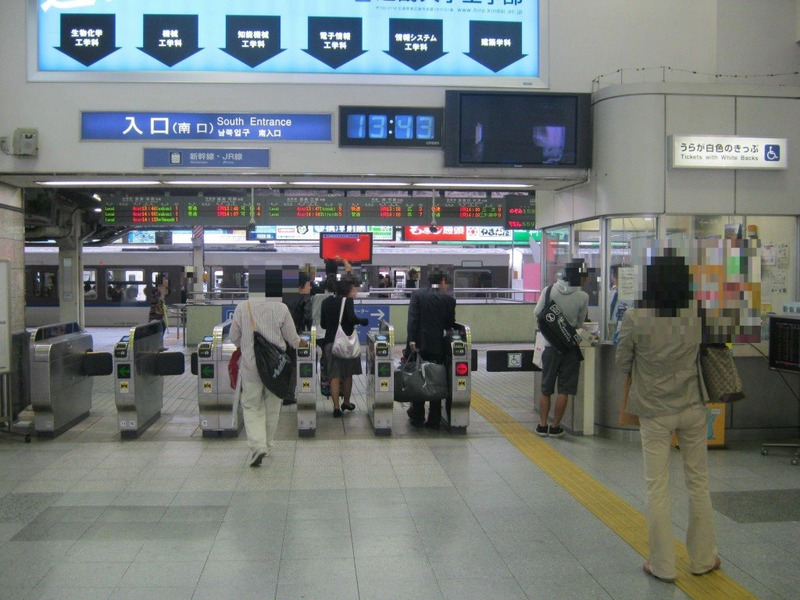 A member of the station staff will come, confirm where it is you want to go, and then take you to the platform! No wandering around wondering what track leads to what station like other tourists! The path to the platform is often very quick, but sometimes is a bit inconvenient as the elevators are sometimes placed at the far end of the platform – or in old stations may require taking the long way around. (Though, this can mean seeing some interesting sights!) 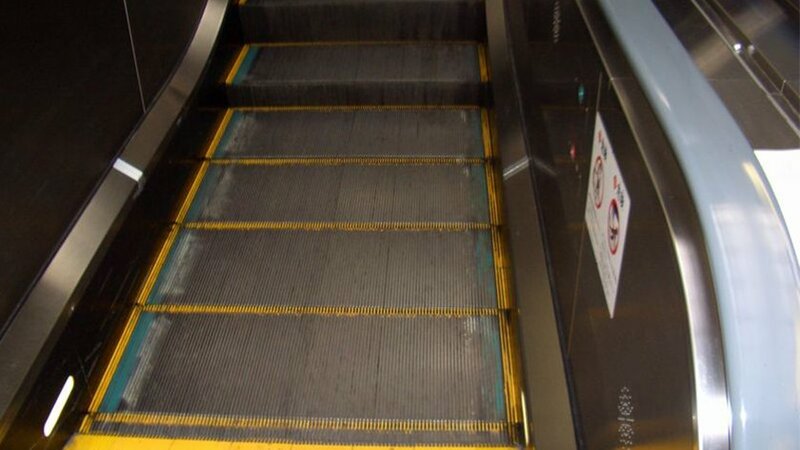 Lately, the vast majority of stations have elevators, but some feature escalators that allow wheelchair users to ride them (though often frightening!) or stair-climber type lifts attached to the wall. Many stations have started putting safety walls and automatic doors next to the tracks, but many don’t have these and can be a bit unnerving as you get closer to the track than you may like. Arriving at the area that is accessible, the station staff will go and get a ramp and help you on to the train. Many lines help you on right away, but the JR lines seem to have a policy to make you wait until for the next train even if there is one right in front of you. Once on the train, you will likely find an area that does not have a bench and you can sit there without worrying that your wheelchair is blocking the doors. This is a great refuge when riding during busy hours (6:00-9:00am and 9:00pm-midnight). The next benefit for disabled riders is that you never have to worry about missing your stop or transfer! When you tell the staff where you are going, they phone ahead to the transfer station or destination and alert the staff as to what train you are on. Once you arrive, there will be a staff member waiting with a slope (wheelchair user) or to guide you (visually impaired rider). If you are transferring, they will take you to the train and call ahead to the next station (note: you may change train lines during your transfer and need to buy new tickets, a staff member of the next train line will be waiting for you). If you are getting off, ask the staff which exit has an elevator as not every exit has one. There have been reported incidents of station staff not recognizing scooters (and other devices that do not look like a typical wheelchair) as mobility devices and making users wait for long periods while receiving “approval” or even refusing services. This tends to be limited to JR train lines. Disability groups are pressuring the train lines to change. However, until changes have come into effect, users of mobility devices that do not look like a standard wheelchair may have a difficult time traveling on the train. 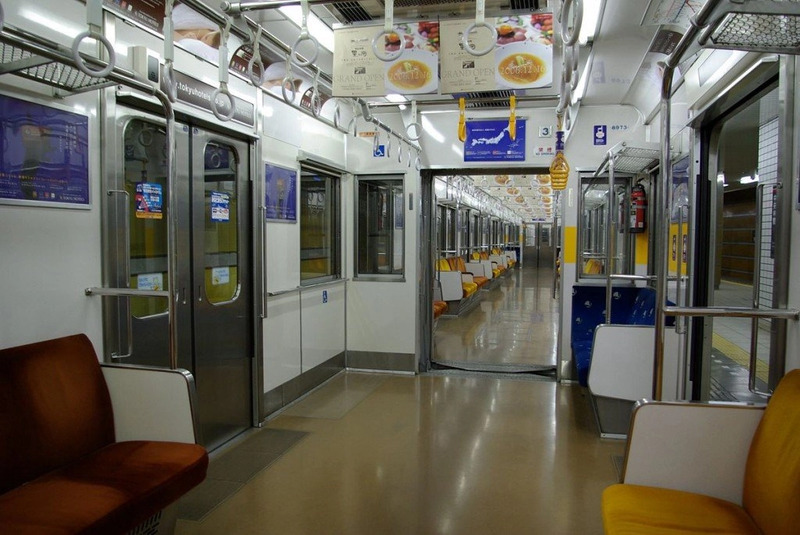 To give you even more of a taste of riding the subway or train in Japan, check out our video! Not only does Japan have the most efficient train system in the world, it is likely one of the most accessible. While some older stations in the outskirts of the city may not be fully accessible, I would estimate that over 90% are accessible in large cities. 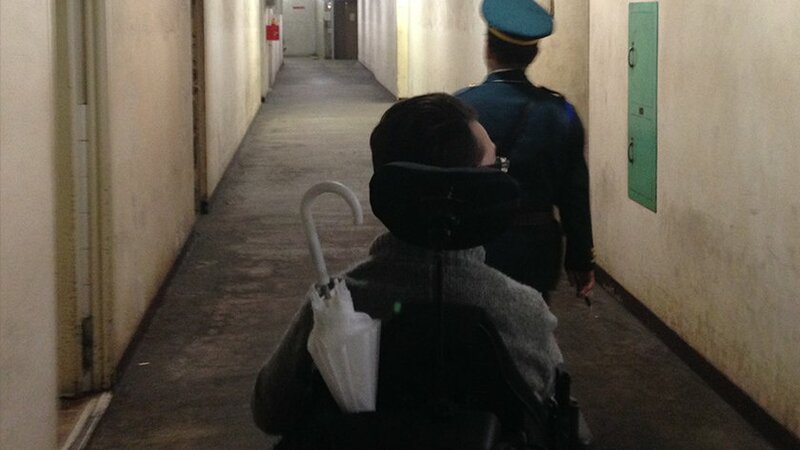 As a word of caution, it will likely take longer traveling in a wheelchair. So, add in about 15-20min per transfer and 10-15min for getting on the train in the first place.